Every Bajan or foreigner living in Barbados should attend at Grenville’s Weighed in the Balance website and have a read of Put Your House in Order. 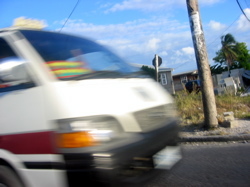 Barbados Free Press, September 5, 2012 Campus Trendz deaths: What criminals allowed bars on the windows, no fire exits? Almost five years after the Campus Trendz slaughter, sleep does not come easily for my friend. In her mind she still sees the weeping desperate men in the smoke at the rear of Campus Trendz – cursing and yelling as they used hand sledges to break through the brick wall all too slowly. She couldn’t watch any longer, she couldn’t listen to the screams any longer and there was nothing the girl could do so she walked away. That haunts her to this day. Pearl Amanda Cornelius, 18, Kelly Ann Welch, 24, Shanna Griffith, 18, Nikita Belgrave, 23, Tiffany Harding, 23 and Kellisha Ovivierre, 24, burned to death because two evil men robbed the store and smashed flaming bottles of petrol. That is one of the causes of their deaths. 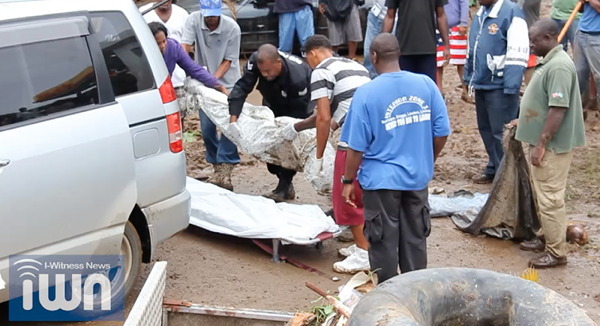 The other cause of their deaths is that Barbados has no enforceable building code. Folks just build as they want to, with no standards as to amount of steel or how rebar is connected. No standards as to fire exits or alternate fire exits through windows. Campus Trendz was a deathtrap from the moment it was constructed, and six young women died because Barbados had no building code to protect them. Similarly an entire family died at ArchCot when a powerful family (BLP leader Mia Mottley’s family) invested in land over a known cave. How the prohibition against building over the known cave was lifted was never really explained to the public. Just another of those magical Bajan processes very similar to how a BLP Government Minister came to live in a house built on private land that had been expropriated for government purposes. 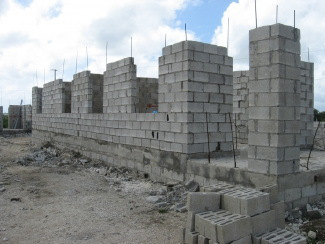 That Barbados has no building code makes it easier for the corruption and the corrupt to thrive and profit. 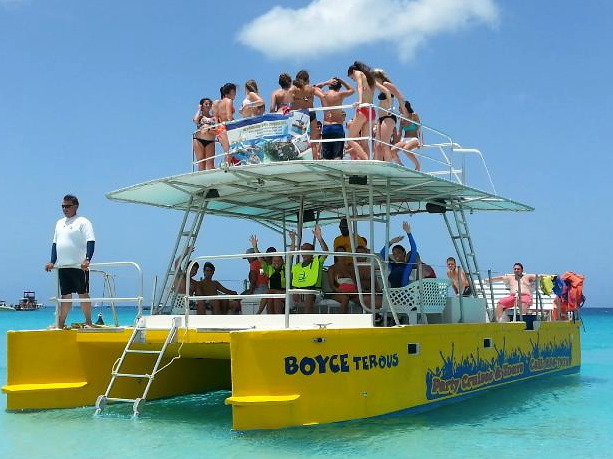 In the small hours of Sunday morning, the Boyceterous Catamaran Cruises vessel capsized and sank while under tow by the Barbados Coast Guard. Fortunately none of the 45 to 50 passengers and crew drowned, although we hear that some were injured. One of the tour boat’s engines failed and the boat had been drifting for an hour off the harbour until the arrival of the Coast Guard. 50 people on this small boat is too many! 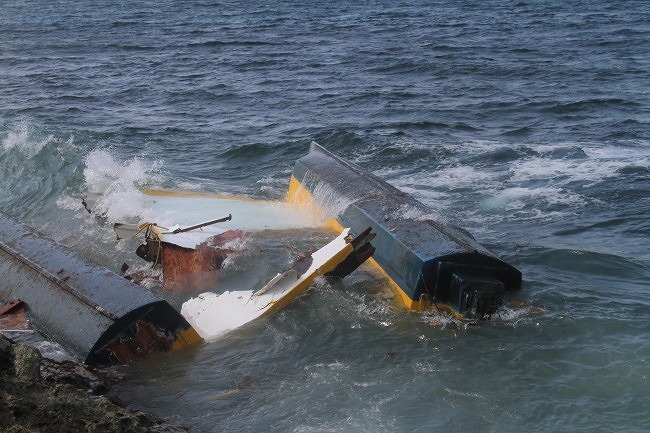 News accounts and the Barbados Coast Guard are directing the attention and responsibility for the sinking to the crew, and not mentioning that the cause was the faulty towing procedure by the Coast Guard. Seeing as nobody died there probably won’t be any public inquest or public inquiry, but Barbados should learn what it can and take all steps to prevent it happening again. 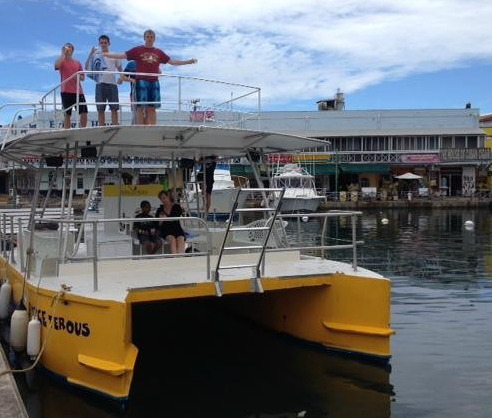 Because if five or twenty tourists drown next time, that will be a national economic disaster. We’ve said before (and so did Prime Minister Arthur) that we are not an “enforcement society”. That’s all fine when we are talking about nitpicking folks to death with government regulations – but not so good when we’re talking about having no Building Code, no enforcement of vehicle insurance regulations, and training, standards and equipment for emergency personnel that falls way short of international standards. Almost one year since Forbes called Barbados ‘Cyprus West’ – have we changed for the better? Has Finance Minister Sinckler done the right thing… or is the situation so far out of hand that no government could be effective now? Barbados, “the Jewel of the Caribbean,” the tiny easternmost island in the Lesser Antilles with 288,000 year-around inhabitants and lots of very rich foreign visitors and investors, is in the throes of a financial meltdown. While its entire GDP is now only worth about $4.2 billion, and its population is smaller than that of Duluth Minnesota, this crisis is worth examining closely. For here we have a very precise example of the “finance curse,” where excessive dependence on high debt, an aggressive offshore haven industry, very low tax rates for high-net worth investors, foreign companies, and banks, and high tax rates for everyone else, have essentially brought this little country to its knees. 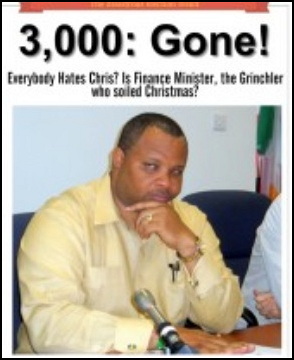 See BFP’s January 2014 article Happy New Year 2014: Forbes announces that Barbados is on its knees, in a financial meltdown.